Location: Polminhac, in the Cantal departement of France (Auvergne Region). 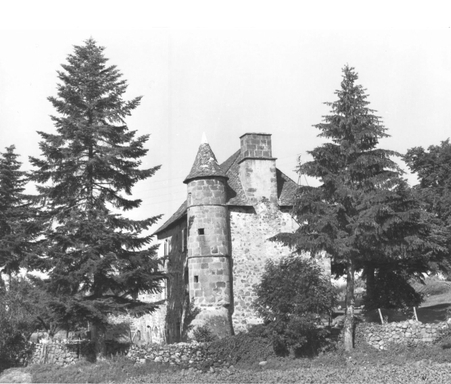 Notes: Château des Huttes is the former home of the Pagès family huts, located in Polminhac in the Cantal. Located in the highlands along the old road from Carlat - Saint-Flour crossing the mountains of Auvergne in the Cantal Lead (via Celtica), it was the place of a toll. It should not be confused with the former home of urban Pages family of Tabernacles, which is located in the center of Vic-sur-Cere along the National Road 122.